Hailing from Jogjakarta, Senyawa pushes traditional Indonesian music and experimental music far, far beyond their accustomed boundaries, resulting in a thrilling blend of their cultural heritage, avant-garde influences, and doomy elements. The group have announced their new album, 'Sujud', to be released just in time for Le Guess Who? 2018, on 2 November. 'Sujud' marks Senyawa's first release on the Sublime Frequencies label, who write about the album: "The basic theme of the record can be summed up with one extremely powerful Bahasa Indonesian word, Tanah, which translates to "soil-ground-land-earth". 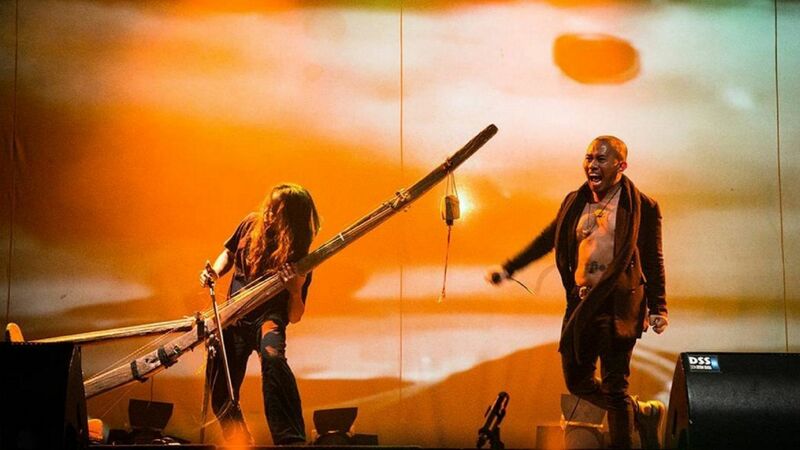 To accompany Rully Shabara’s kaleidoscopic, punctuating vocal techniques, Wukir Suryadi has built a brand new guitar for the album, and utilizes delay, loops, and other effects to create backdrops with a mixture of folk, metal, punk, and droning earthscapes. To get an idea of 'Sujud', listen to the album's sampler below. Senyawa performs at Le Guess Who? 2018 together with a.o. Art Ensemble of Chicago, Eartheater, Jerusalem In My Heart Orchestra, Pan Daijing, Colin Stetson, Yonatan Gat & The Eastern Medicine Singers, Midori Takada, Lonnie Holley, and many more.